The balance between value and quality is one that can be difficult to reconcile, and sometimes, even harder to get right. When faced with choosing between an item costing $10 and it’s far superior counterpart that will set you back the princely sum of say $50 it can be hard to fork out that extra money. The reasoning goes that if the $10 item breaks, I can buy 4 more before my savings are wiped out. However, inevitably the more expensive but superior product will not only outlast and outperform the cheaper version it will give you a lot less headaches while doing so. The trick is to know when to SPLURGE and when to SCRIMP. On the other side of the same coin paying a great deal more for designer brands with little or no appreciable increase in quality or durability may look and feel good, but it generally becomes hard to justify in a value-for-money conversation. And so it goes with luggage. With such a mobile lifestyle, over a number of trips we have tried many and varied solutions to the “perfect luggage conundrum.” Most of the usual ones and some more than a little unusual. There were the suitcases, a few duffels, two backpacks and the unmitigated disaster that was “matching garment bags” (I don’t know what we were thinking either). Until one day in desperation on the way to catch a transatlantic boat, we stopped in at an outlet mall in Nowheresville, Texas. In a luggage store there we found what we hoped would be the last suitcases we ever bought. Made by Victornox, the makers of the swiss army knife, the NXT 4.0 Mobilizer has the full array of compartments and pockets to keep all of your essentials safely stowed and supremely organized. While a plastic internal structure, extendable handle and inline skate type wheels round out the standard features, the thing that we really appreciated is a garment bag which zippers out and can be hung directly in the closet without the need to remove anything. 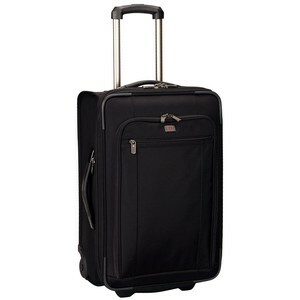 Best of all the garment bags are big, with room for a suit and/or tuxedo plus a few button down shirts as well. In Lacey’s case it holds an inordinate number of dresses and skirts and a few shirts and some pants and a Blazer and.. well you get the idea. While all the features and the function of these cases made them good, what made them truly great was a trip to the Victornox store in Paris to see if they would make good on the lifetime warranty bit of the sales pitch. After four years of what can only be described as torture at the hands of countless baggage handlers, taxi drivers, the surprisingly sadistic treatment they received while being loaded on cruise ships, along with the more-than-occasional trip in the back of a horse trailer, they were starting to slow down a little. I wish we had pictures because those suitcase were busted-up! But Victorinox held true to their lifetime “Carry with Confidence Guarantee” as detailed below. All we had to do was bring in the suitcases – no receipts, no “did you sign up for the warranty online,” etc..
Over the next three weeks we speculated numerous times about the quality of the repairs we were going to receive. We even allowed ourselves to entertain the hope the cases would be deemed beyond repair and completely replaced. I went so far as to make the bold pronouncement that “If they give us new cases, I don’t see the need to buy from any other company ever again.” Sure enough they made good on the warranty and we were presented with two brand new versions of our old suitcases (actually they don’t make the same model any more so we were given the equivalent in the new line NXT 5.0 Mobilizer), one red and one black. I am going on the record as saying we will never buy a suitcase from any other company, ever again. Unless we find a really good deal on a Louis Vuitton duffel. 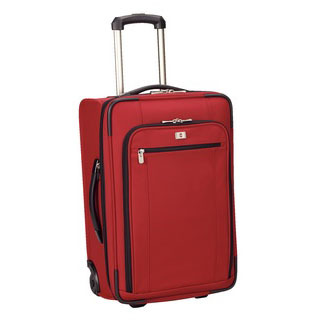 Tags: affordable luggage, best suitcase, best warranty, buy it once, buy once, durable luggage, durable suitcase, lifestyle, luggage, quality luggage, quality suitcase, suitcase, suitcase for life, tough, Travel, victorinox, wanderlust, warranty, well-priced, worldwide. Bookmark the permalink. I am in the market for a new suitcase. Thanks for making up my mind for me!!! !